With the world still abuzz over the first ever deployment of the GBU-43/B “Mother Of All Bombs” in Afghanistan, where it reportedly killed some 36 ISIS fighters, in a less noticed statement the US National Nuclear Security Administration quietly announced overnight the first successful field test of the modernized, “steerable” B61-12 gravity thermonuclear bomb in Nevada. The US preemptive nuclear strike capability has significantly grown. The strategic nuclear forces modernization program has implemented new revolutionary technologies to vastly increase the targeting capability of the US submarine-launched ballistic missile (SLBM) arsenal. 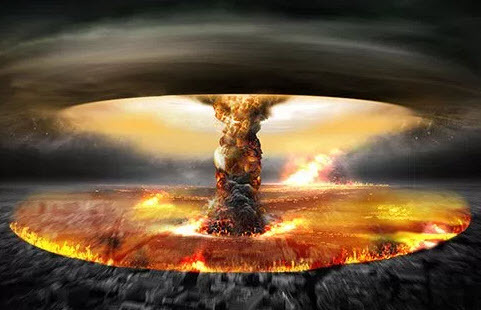 The Bulletin of American Scientists reports that as a result of improvements in the killing power of US SLBMs, they carry more than three times the number of warheads needed to destroy the entire fleet of Russian land-based missiles. Since only part of the W76 force would be needed to eliminate Russia’s silo-based ICBMs, the United States will be left with a substantial number of higher-yield warheads that could be used for other missions. According to Del Monte, nanoweapons are much smaller than a strand of human hair and the insect-like nanobots could be programmed to perform various tasks, including injecting toxins into people or contaminating the water supply of a major city. Another scenario he suggested the nanodrone could do in the future is fly into a room and drop a poison onto something, such as food, to presumably target a particular individual.